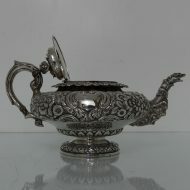 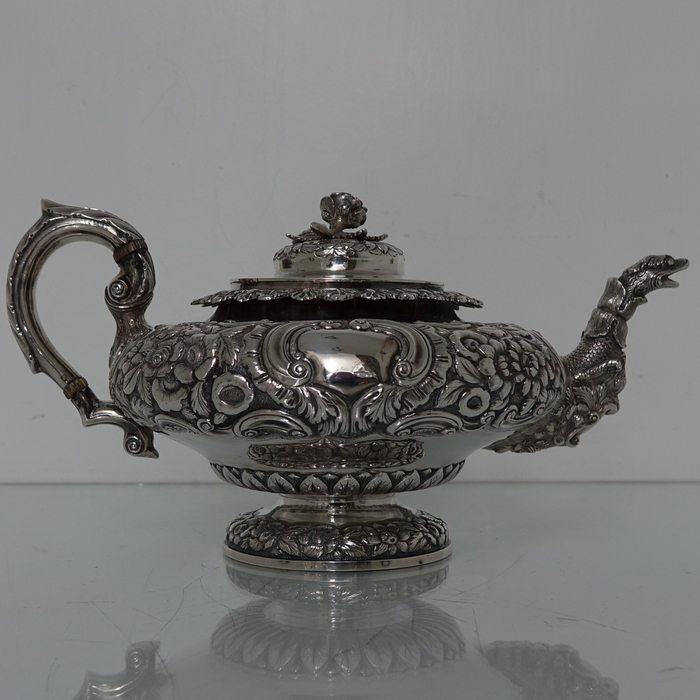 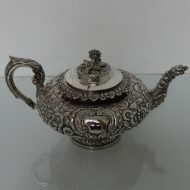 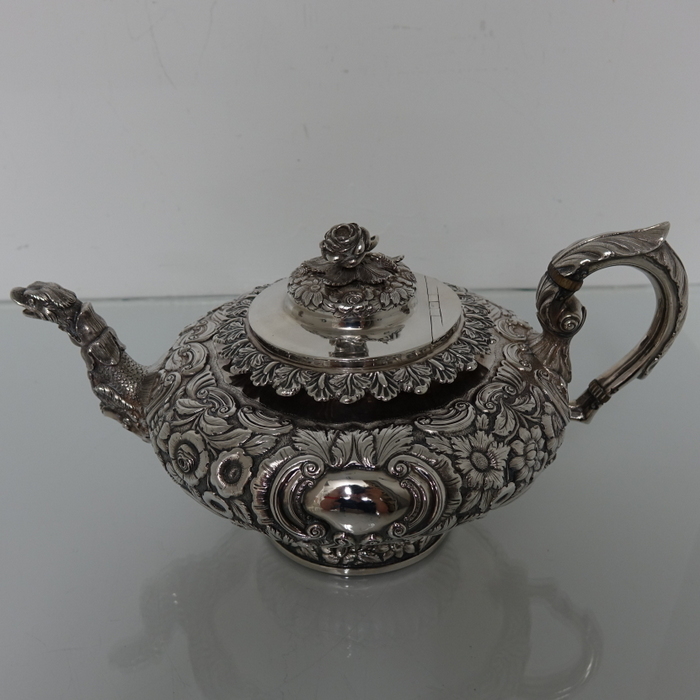 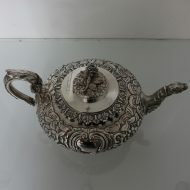 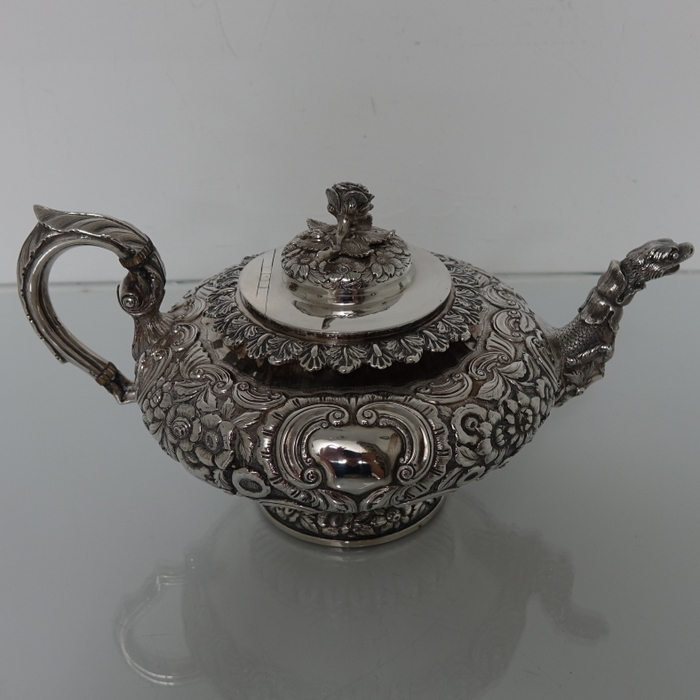 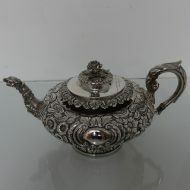 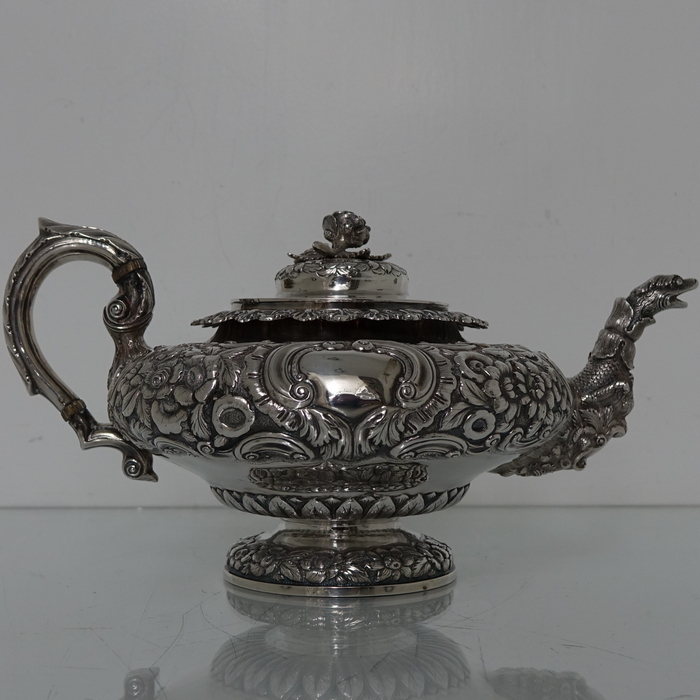 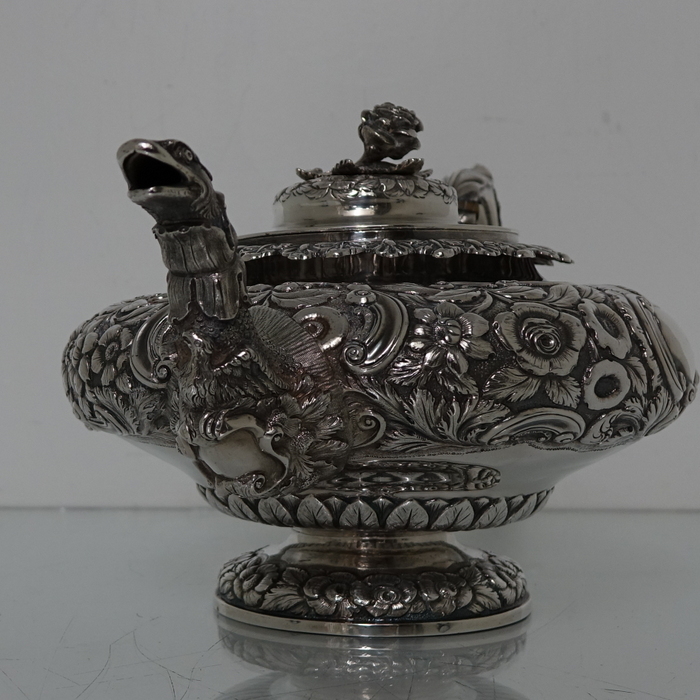 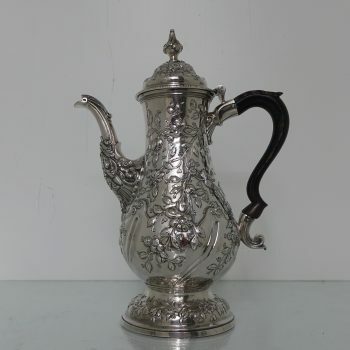 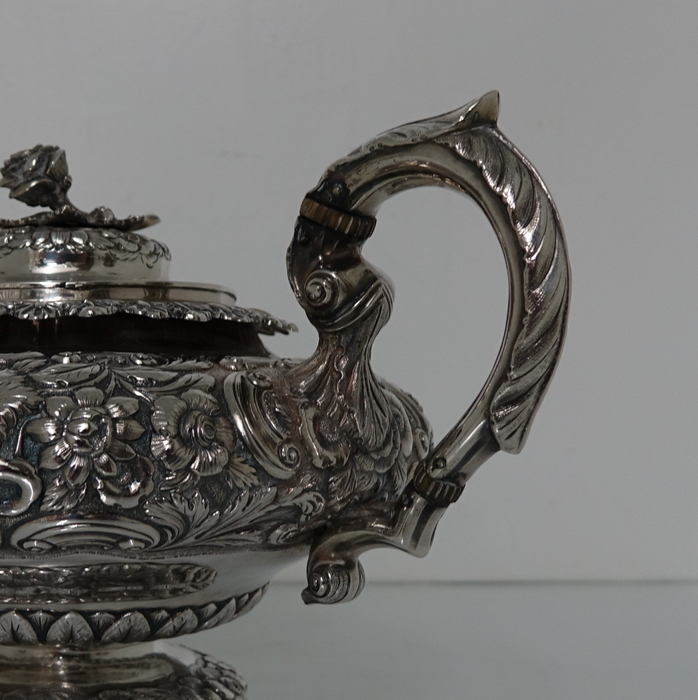 A stunningly beautiful large circular Irish silver teapot, beautifully floral embossed throughout with ornately shaped double cartouches. 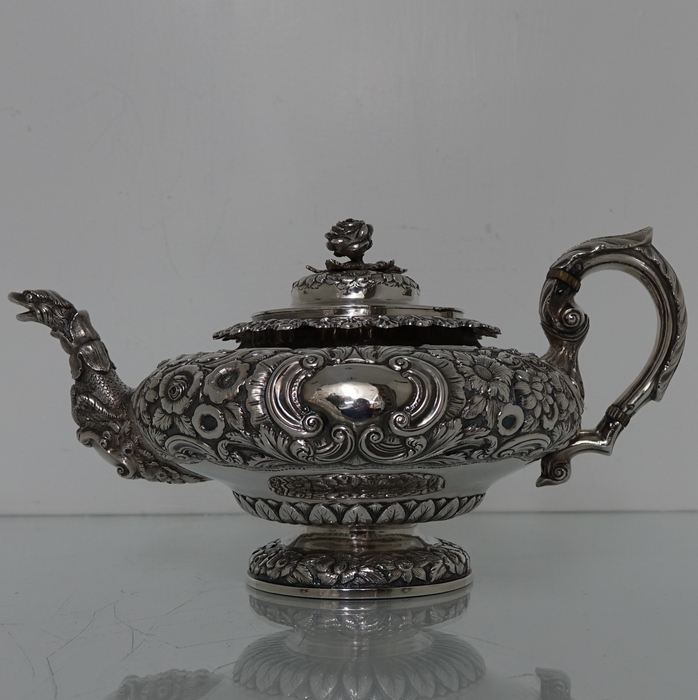 A stunningly beautiful large circular Irish silver teapot, beautifully floral embossed throughout with ornately shaped double cartouches. 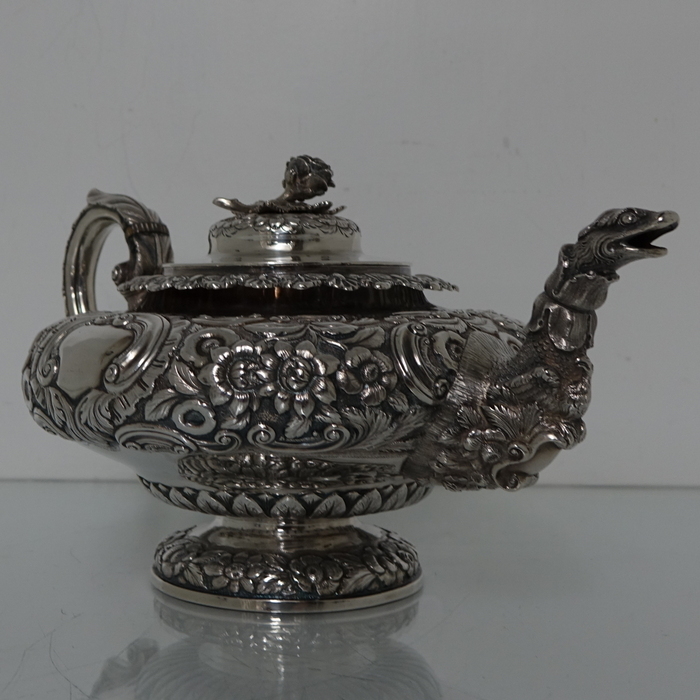 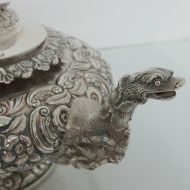 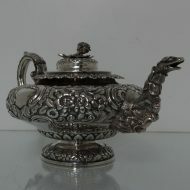 The spout of the teapot is uniquely designed with a sea serpent theme. 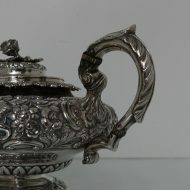 The handle is scroll formed with acanthus leaf thumb piece. 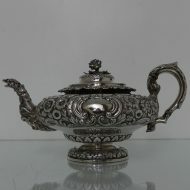 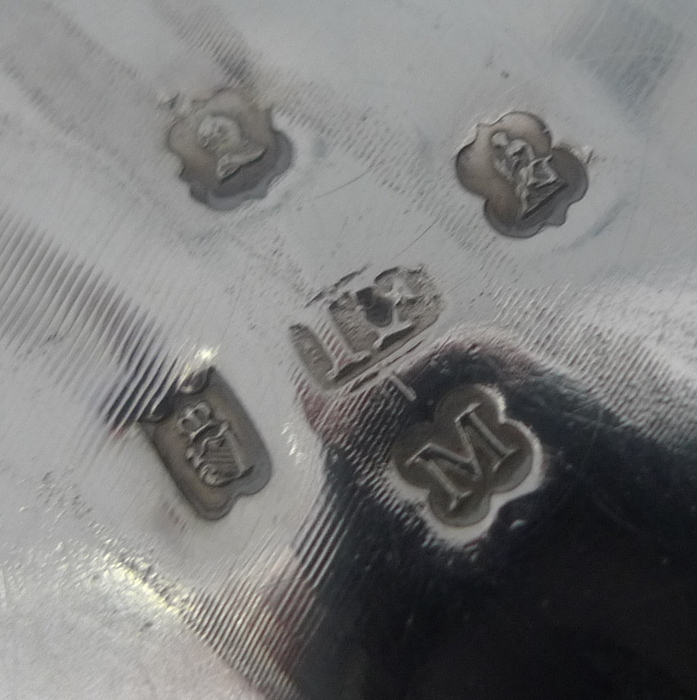 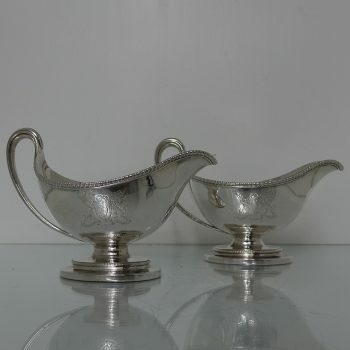 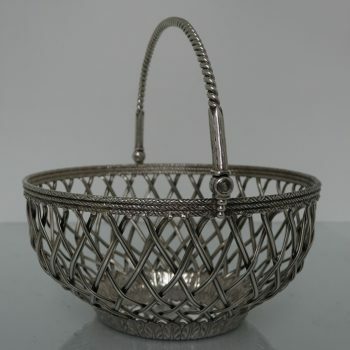 The lid is hinged and crowned with a elegant floral finial.